A popular green tea. Tending light liquoring, smooth with reasonable depth and body. Cup Characteristics: Tending light liquoring, smooth with reasonable depth and body. Often used in ceremonies. It should come as no surprise that Japan‟s most influential Samurai, Saigō Takamori (1828-1877), was born in Kagoshima prefecture, home of Japan Sencha Kakagawa. Why should that not be surprising? Because, both are assertive, legendary and “true”. We‟ll explain. According to lore, Saigō Takamori was dubbed Japan‟s last true Samurai. Living only until his 49th year, the famous warrior fought social oppression, exile and many battles, winning the hearts of all who followed him. 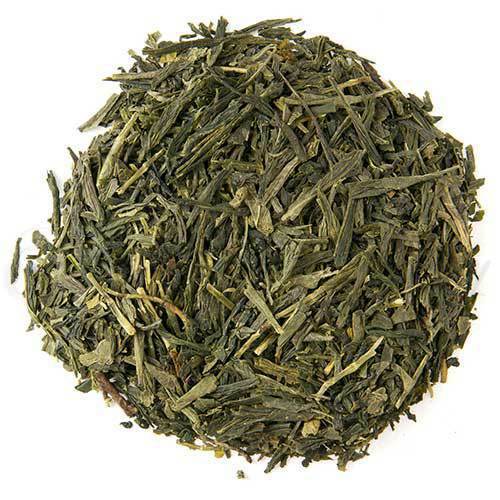 Likewise, Japan Sencha Kakagawa is thought by many in the tea world to be one of the truest expressions of Japanese tea, also highly capable of winning the hearts of all who drink it. Hailing from gardens not far from Saigō‟s birthplace, the fields where Sencha Kakagawa is grown have been shown in numerous studies to be radiation-free, untouched by the unfortunate 2011 Fukushima nuclear event. This leads us to the next truism regarding this fantastic Sencha. If you‟re familiar with Metropolitan Tea, you‟ll know that food safety is something we don‟t take lightly. In the same way the Samurai of old, valued and defended their honor, we value the safety of our clients, and will defend that position come hell, high water, or a marauding band of sword-wielding warriors. A fabulous tea, well worthy of its lineage. Enjoy.